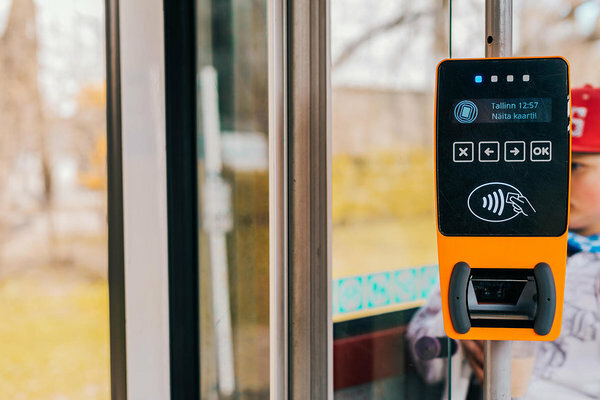 The Estonian technology company Ridango won a public procurement in Lithuania for implementing a new ticketing system in Klaipeda. The new system will be similar to the ones used in Tallinn and Tartu, Estonia. As a result of the concluded contract, Ridango's technology will be used in 231 buses of Klaipeda, where over 400 validators will be installed. In addition to the equipment, Ridango will supply the Lithuanians with the central system and the later operation services. The launch of the whole system is scheduled to take place in the middle of next year. “Getting a deal in Lithuania is an important step for us on our way to becoming the largest player in the region of Nordic countries and the Baltics,” said Erki Lipre, CEO of Ridango, who added that Lithuania is the fourth market, where the company has entered in the last years. Previously, the company has been supplying technology and software to Estonia, Sweden and Greenland. The Lithuanians are praising the proven solution of Ridango. “We are looking forward to implement the new e-ticketing system. It is good to know that the solution has been developed, tested and used in Estonia, which is known as a high-level IT country,” said Andrius Samuilovas, Deputy Director of Klaipeda Transport Department. “Public transport development is a priority in all major cities. Our technology makes it easier for people to enjoy their journeys, and provides public transport companies with valuable information, on the basis of which routes and departures can be organised. People have shown great interest in the solution of Ridango and I am sure that in the near future, we will definitely hear more about new projects,” added Argo Verk, Sales Director at Ridango. Ridango AS is an Estonian technology company established in 2009 and engaged in the development of public transport ticketing and real-time systems. The company offers turnkey solutions to municipalities and companies, acting as a complex service provider.